Google Glass doesn't deserve the hate. 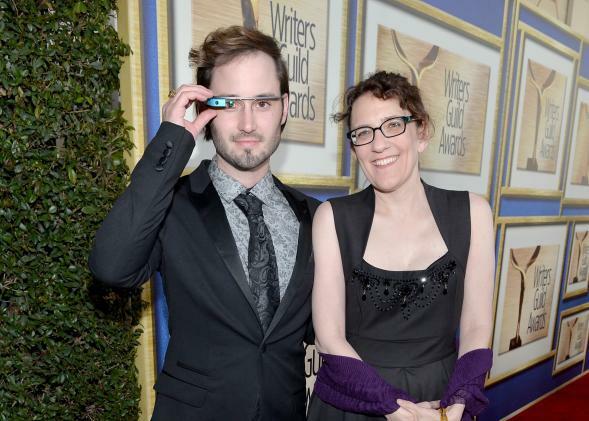 Google Glass has gotten a bad rap—or, at least, an inaccurate one. In the nearly two years since Google began testing its augmented-reality eyewear, public reaction has progressed from “that’s amazing” to “those look stupid” to “if you wear them, you deserve to be physically assaulted.” Google always said people would need some time to adjust to the concept of smart glasses, but this probably isn’t the evolution the company had in mind. The backlash is bound up with a growing anti-tech movement that has emerged as a counterweight to the fat wallets and ponderous egos of Silicon Valley’s new overclass. It’s hard to imagine a more blatant signifier of tech wealth than a $1,500 computer that you wear on your face. But the anti-Glass sentiment has also been fueled by a couple of misconceptions that should fall by the wayside once the device becomes more widely available. That process might well begin today, as Google opens sales to the public for the first time—albeit for a limited time and at a still-exorbitant price. The first misconception is that Google Glass turns its wearer into a walking surveillance machine. As I’ve explained, Glass is no more a stealthy spy tool than your average iPhone, and probably less so, thanks to its glaring conspicuousness and limited battery life. While the device has received some updates in the past year that make it a little easier to operate, it remains a poor choice for surreptitiously filming one’s friends or enemies. The second misunderstanding is that Google has intentionally made Glass exclusive for ignoble reasons—to artificially inflate demand, perhaps, or to make its early adopters feel extra-special. In fact, Google has kept Glass exclusive for the same reason it kept Gmail exclusive in the early days. That is, to enlist early adopters in the project of testing and refining a prototype before unleashing it on the public at large. This iterative-design approach is common at Google and other Internet companies. But it’s at odds with the prevailing approach in the consumer-electronics industry. Hardware companies like Apple pride themselves on keeping each new product under wraps until it’s fully polished—and then whipping back the curtain to gasps and applause. By contrast, Google’s approach requires a certain humility. Rather than imagine that its engineers could build with the perfect device on their own, the company was willing to ask for help—even if that meant letting outsiders get their hands on a device that was clearly flawed and unfinished. Does that mean you should go out and buy Google Glass for yourself today? Not unless you’ve got $1,500 to burn on a piece of hardware that’s still in its formative stages. Glass at this point is an impressive technological achievement and useful for certain things, like shooting a video while doing things with your hands, but rather distracting as an everyday device. It’s certainly no substitute for a smartphone, and as a complement to a smartphone it’s superfluous at best. Dislike Glass all you want. But there’s no need to hate it. Odds are the people wearing it at this point are feeling more sheepish than superior.